The Selbyville Police Department Museum is now Open. 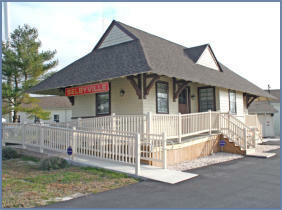 Within the Selbyville Museum you will find the Selbyville Police Department Museum. Initially started as display of several pieces of antique equipment and newspaper articles for the Town’s Old Timers’ Day Festival in 2005, the display grew quickly during the preparation for the Department’s 75th Anniversary in 2006. Officers searched for articles and photos from the local newspaper dating back to 1938. Also, all previous officers that could be located we contacted for photos and stories. Initially we focused on the history of our Police Department, but quickly decided to expand to surrounding small Departments and officers. Our displays include any historical item that we came across, handcuffs, batons, evidence collection items, photos, etc. We also searched out Departments that were in the process of disposing of old equipment to try to obtain items that we did not have. We continually solicit items from the public and visitors who may have relatives who were officers, are retired officers, other small Departments, etc. Also, we encourage visitors to write about stories they may have about an incident or of officers that they know. Please enjoy the photos and displays, and should you come across a piece of law enforcement history and would like to make a donation, please contact the Police Department or the Museum Director at (302) 436-8334 ext. 104.